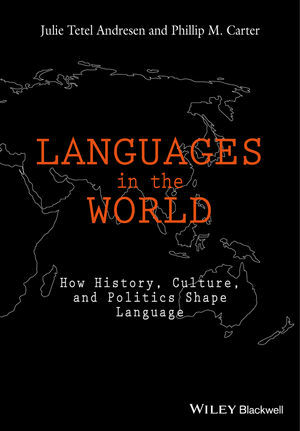 This innovative introduction outlines the structure and distribution of the world’s languages, charting their evolution over the past 200,000 years. Julie Tetel Andresen is Professor of English and former Chair of Linguistic at Duke University. A linguistic historiographer focusing on French, German, British, and American theories of language from the eighteenth to the twenty-first centuries, she is the author of Linguistics and Evolution: A Developmental Approach (2013) and Linguistics in America 1769-1924: A Critical History (1996). Phillip M. Carter is Assistant Professor of English and Linguistics at Florida International University. Specializing in immigrant and ethnolinguistic minority communities in the Unites States, his work on the language varieties and cultural practices of U.S. Latinos has been published in leading journals, including Language in Society, English Worldwide, Journal of Sociolinguistics, American Speech, and Language in Linguistics Compass.